Dates/Times: Two Day Class - Attendance at Both Classes is Required. Certification: Two (2) Year American Heart Association (AHA) Certification - Same Day AHA Certification - eCard Issued at end of Course pending successful completion of written and MegaCode Testing. 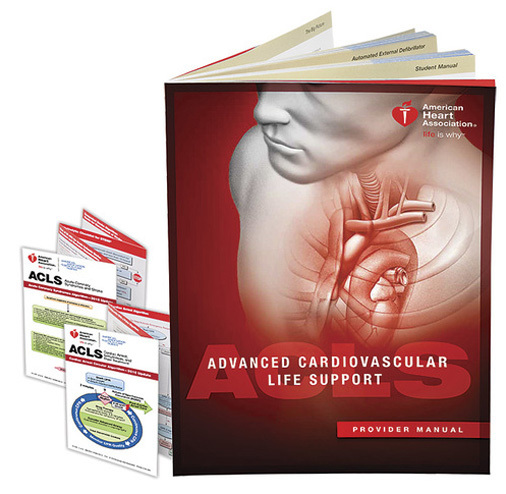 Complete the precourse checklist that came with your ACLS Provider Manual. Bring the checklist with you to the course. 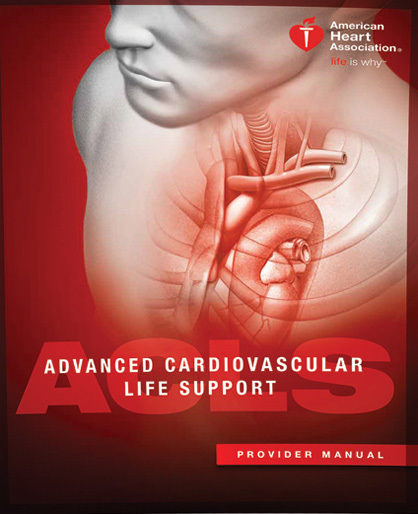 Review and understand the information in your ACLS Provider Manual. (Pay particular attention to the 10 core cases & the algorithms). Review and understand the information on the BLS for Healthcare Providers manual. All students will be tested in CPR in the ACLS course. You will not be taught how to do CPR or how to use an AED. You must know this in advance. Precourse Self Assessment Test (online) which must be completed prior to class. Pre-Test Available at www.heart.org/eccstudent Click on "Pre-course Assessment" Password to website given on registration.